Being a woman is not easy anywhere in this world, every woman reading this must be agreeing with me . In India , from the day a girl is born ,family values are deeply instilled into you .You have to sit in a proper way ,eat in a proper way, dress in the proper way ,walk in a proper way -the do's and don'ts are endless.When it comes to choosing your career ,again you are encouraged to take a family friendly job like being a doctor, teacher or an architect .You have to then get married and bear children by the right age . So in this whole cycle I almost forgot that there was more to me as a person , than just being a daughter ,wife, daughter-in-law and a mother . I was me too . The moment the realization sunk in ,the "Me " within started floundering and flapping to get out , to be heard over the dim,to be seen in a new light ,to be able to change things around me. 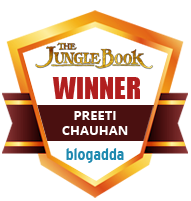 I started blogging and tweeting in between patients (yes ,medicine is my vocation but it does not give me the freedom I want and desire ), sometimes after the kids went to sleep ,even while cooking in the kitchen !Soon I started getting acknowledgement from like minded bloggers and it filled my soul with contentment . Blogging was the "voice " I was seeking to be .It gave me wings , It gave me the freedom to dream ,to believe that change can be achieved if all such voices come together and create a boom , a reverberation that can echo through our society . 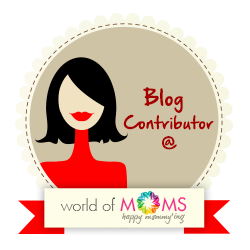 Now that I have got a voice ,I feel proud to introduce myself as a woman blogger . A Happy Woman's Day to you too ,Woman ! Celebrate yourself !